Remember … remember … some dates for November! 17th November: Garden Work Day organised by Creswick Methodists and PXI-Space to Grow. We’ll be adding new planters to the front garden and planting them up, as well as doing more work on the inner garden. We’ll also find plenty of time no doubt to sit and chat and share some food together – if you’re interested let Nick know on 07432 092 683 or just turn up on the day from about 10.30am. 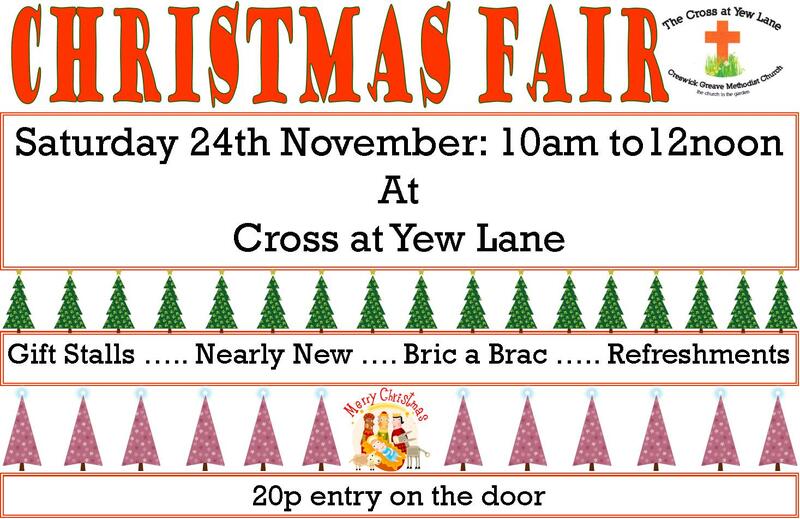 24th November: The annual Christmas Fair from 10am while 12noon. Come along and grab a bargain. Throughout November: This November Nick from PXI will be growing something different – a moustache! This will be as part of “Movember” which is responsible for the sprouting of moustaches on thousands of men’s faces in the UK and around the world. The aim of which is to raise vital funds and awareness for men’s health, specifically prostate cancer and testicular cancer. The funds raised in the UK are directed to programmes run directly by Movember and their men’s health partners, Prostate Cancer UK and the Institute of Cancer Research. Movember works with these partners to ensure that Movember funds are supporting a broad range of innovative, world-class programmes in line with their strategic goals in the areas of awareness and education, survivorship and research. Well we’ve been blessed by being able to welcome some new visitors to the Cross at Yew Lane over the past couple of weeks; on the 26th April, Rev Vernon Marsh (Sheffield Methodist District Chair) came as part of his visit to PXI – Parson Cross Initiative. Judith and I were able to share with him the Quiet garden vision and how we were hoping to both develop the gardens and the buildings to create an even better and more welcoming space. Today we welcomed a group of students through Sheffield University Chaplaincy team, their visit a few weeks ago was cancelled with all the heavy rain we got. After sharing a meal together and explaining something of the work of PXI and the Quiet Garden at Yew Lane, they set about working in the gardens building a new front bed planted with lavender and geraniums. Mahdi, Vlad and Claire complete the front bed. We’re hoping to organise a garden work day for a Sunday afternoon in May or June when we’ll do some tidying work, and some more work on both the Front garden and the Cloistered garden. Keep watching this blog for dates and details. 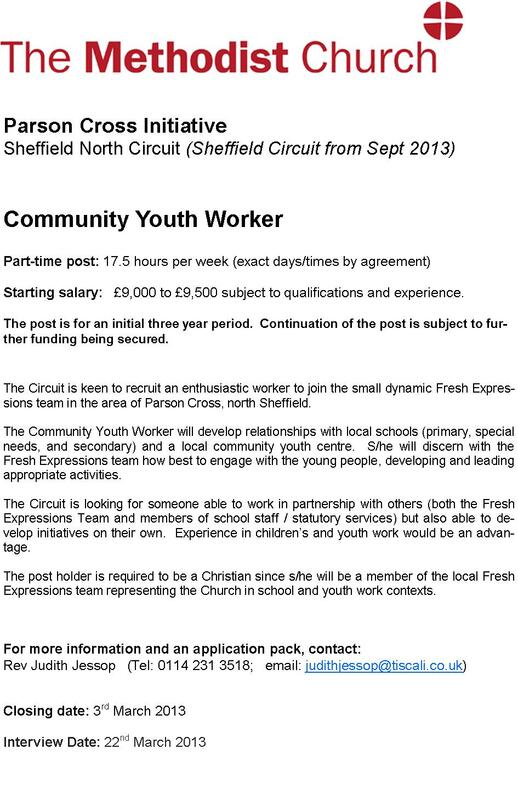 Thursdays at the Cross at Yew lane are of course always a time you can come to enjoy the quiet or do some gardening. The building is open from 10am and you are free to come and go throughout the day as you choose. The “listening service” (offered as part of the PXI District Centre Chaplaincy service, it provides a confidential service with a trained listener for you to talk to and share your worries and problems) and the “resting room” (where you can relax, rest, study, meditate and pray) are both available all day 10am till 3pm. 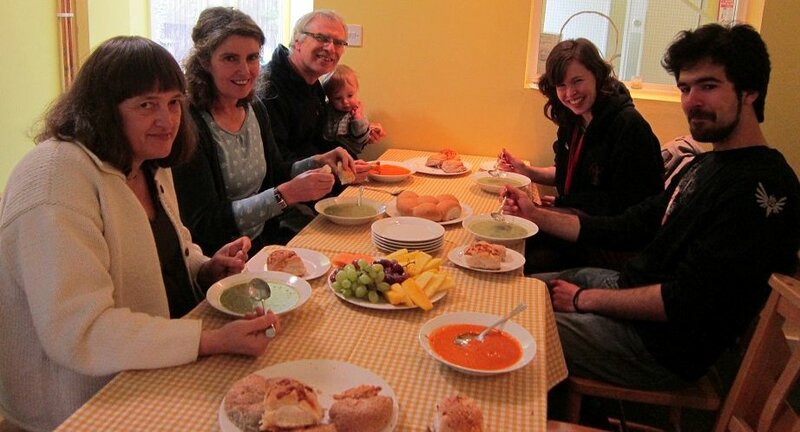 At lunchtime (12.30pm) we offer the opportunity to share soup and a roll, and some fruit; and in the afternoon (1-3pm) “space to grow” provides the chance to spend time working in the gardens. There is no charge for anything on the day – but we ask that those who can would make a donation to support the Quiet Garden. …. we hope to see you there one day. Double glazing to windows in the main room. Improved kitchen and serving area. New meeting and activity room to replace the obsolete boiler and activity rooms. Washroom, toilet and store accessible from the garden area. On our new Facebook page http://www.facebook.com/CrossAtYewLane there’s a poll asking which of the new refurbishment you’d be most likely to use, if you’ve time and access to Facebook please let us know – if you don’t “do” Facebook then why not leave a comment here about the ideas, and any further suggestions you have for improvements to the space or activities you’d like to see take place. PXI -Space to Grow is for people who find gardening and being outdoors a good way of helping them feel and be healthier—whether that’s through the exercise we get from digging, or from eating freshly grown fruit and vegetables, or just from the friends and company we can enjoy. We have three different sessions at three different locations (each with a slightly different feel) there is no charge to those taking part for any of these. 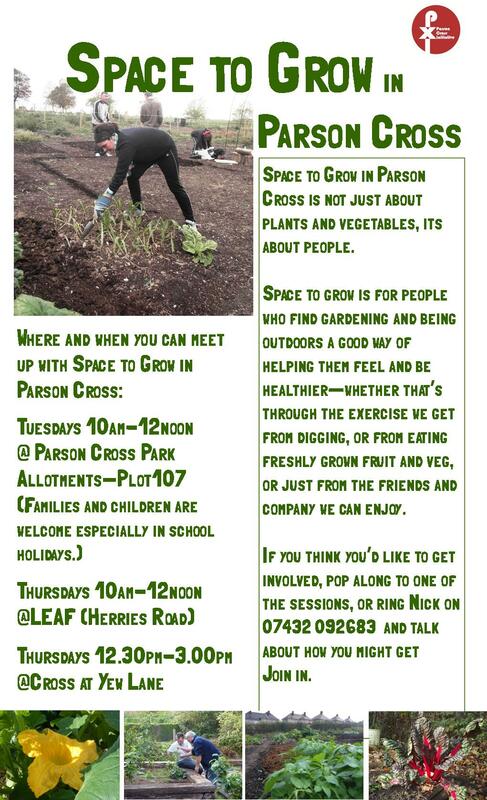 Tuesdays 10am-12noon @ Parson Cross Park Allotments–Plot107 (Families and children are welcome especially in school holidays.) As the allotments are locked people need to ring Nick in advance to let him know they’ll be coming, or identify themselves at the gate so they can be let in. Children are welcome but MUST be accompanied by an adult. Thursdays 10am-12noon @LEAF (Herries Road). LEAF volunteers are present at this and other times and people are welcome to attend at their own convenience. Thursday mornings provide a space when Nick is available as an additional worker is on site to provide support. Tomorrow is the start of Advent , a time which about preparing ourselves for God, getting ready not just for Christmas and celebration of the birth of Jesus, but getting ready to meet with him each and every day …. At The Cross at Yew Lane as well as our regular Sunday worship times during Advent, we’ve got a series of themed Advent reflections led once again by Rev Judith Jessop. Elsewhere on the estate PXI and local Methodists are celebrating Advent in a various ways, from the Street Art project with Ric Stottto the “Big Christmas Sing” at Mount Tabor on the 8th December (6-8pm) where there’ll be a chance to sing all your favourite Christmas carols and songs and raise money for Christian Aid and Chaucer schools Ubunye project. Nearer Christmas PXI (Space to Grow) will be organising cakes and Carols on the allotments at Parson Cross Park and LEAF on Herries Road. 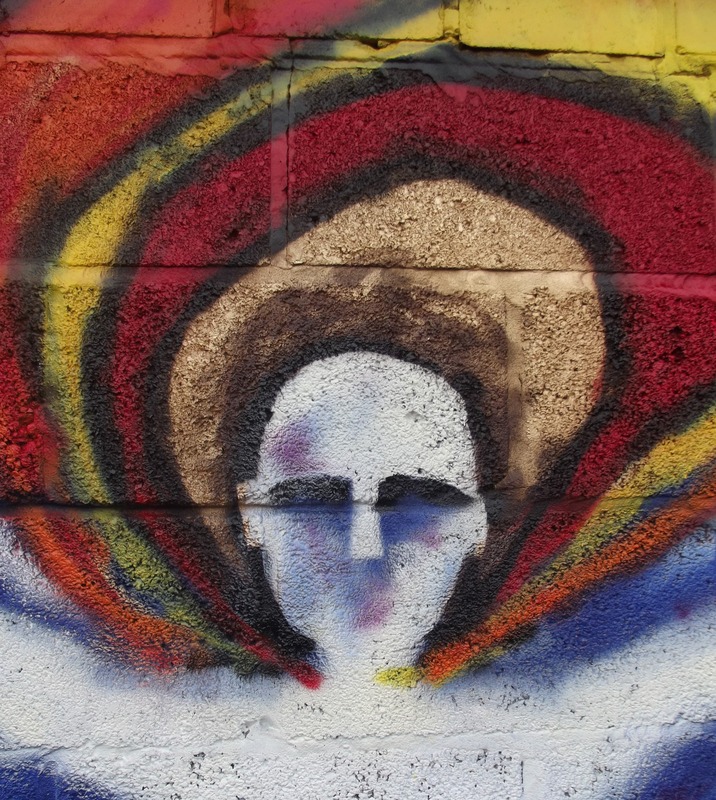 Starting it all off tomorrow is the Advent Youth event at Tabor “Get Ready …. Christmas is coming” with live band, art activities, free food and a chance to bring your instruments and play with the band. Hopefully there’s something for everyone there and so we hope to see you and together share in this special Advent time ……. Oh yes ….. if you’re up early tomorrow tune into BBC Radio Sheffield at around 7.20am and listen to PXIs Nick Waterfield as he discusses Advent with Sarah Major. This Sunday sees the celebration of Harvest Festival by the congregation at The Cross on Yew Lane (see diary page for details), this year the official collection from the church will support the work of the local PXI – Food Bank project based at Mount Tabor. 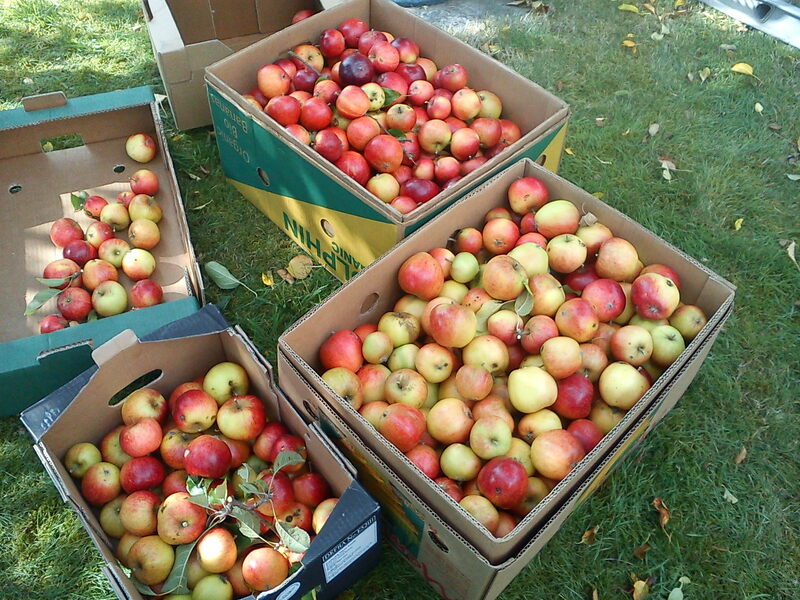 Boxes of Lord Lambourne apples harvested locally today. That said, church members, and local Abundance volunteers have been out and about today bringing in their own local harvest of apples (Lord Lambournes to be specific) grown in one of the houses round Creswick area. The apples that have been harvested are now safely stored at Mount Tabor. This year already Abundance (in North Sheffield) has gathered in around 400llbs of apples and pears from the area, all of which will be put to good use.In the next few weeks it will be distributed to local groups, and for use in local events for making apple juice and chutney, and of course numerous pies and crumbles. Obviously we’d like to thank Jean for the offering of her trees into this years harvest, and to everyone who helped today, but as it harvest time lets also take a moment out to give a special thanks to God.